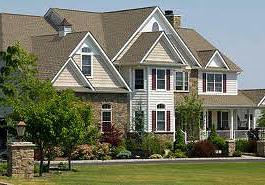 We specialize in residential and commercial roofing, gutters, window, siding, paint, hail damage roofing services. Through quality workmanship and honest service our goal as a company is absolute customer satisfaction, as well as building a strong relationship with our local community of Metro Denver and Surrounding Areas, our great state of Colorado, and especially Americas Veterans and their families. Our qualified representatives are available for a one on one consultation, and our experienced professionals will assist you with insurance claims for wind and hail. Colorado Construction & Restoration, LLC brings a wealth of experience to the table when settling your insurance claim. We are licensed and insured and our highly trained staff will work with your insurance company on your behalf, making this the easiest home improvement or restoration project you’ll ever have. We provide quality, professional hail damage inspection roofing and restoration services for residential and commercial business throughout Colorado. Only quality name-brand materials are used in the construction services we provide, and specific brands are available upon request. With our highly trained staff, Colorado Construction and Restoration is able to provide extended warranties on products and services. As licensed and insured professionals, Colorado Construction and Restoration is your premier source in Colorado for all of your restoration needs. With many years of experience dealing with roofing insurance claims, Colorado Construction and Restoration is able to maximize the amount of your residential or commercial claim to make you whole again. We utilize the same systems and software that majority of insurance companies use, and will ensure that your insurance company is paying for the items that you are entitled to. Additionally, our trained professionals make themselves available to be present at the time of your insurance adjustment, so there are fewer discrepancies on the back end. We are proud supporters of the Wounded Warrior Project, an organization committed to helping America's wounded veterans returning from combat. We pledge to donate a portion of our profits from to the Wounded Warrior Project. This is our way of saying thanks to those who have served our great nation.